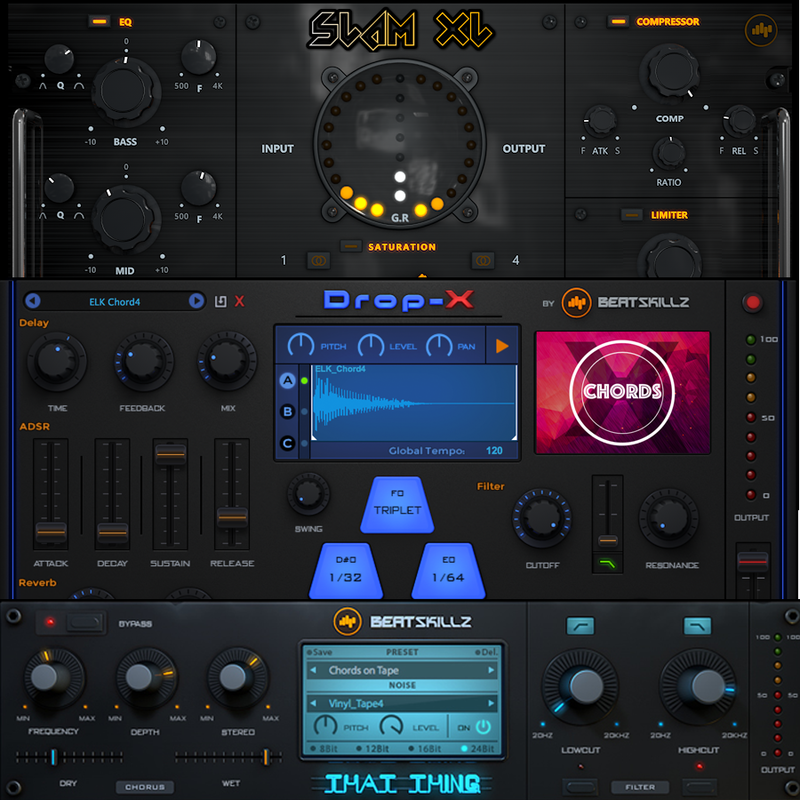 SLAM XL is that “perfect” channel and bus fattener, that can instantly bring your beats, keyboards, live instruments, vocals or percussion to life, without the need of chains of plugins or very complicated plugins, which take more time and are difficult to use. 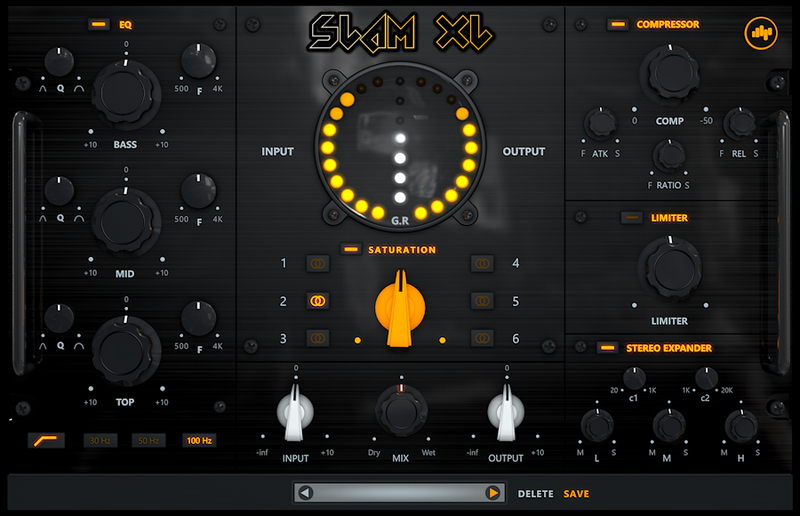 The easy and appealing interface of Slam XL gives you instant control over equalization, saturation, compression, limiting and stereo expansion right out of the box from one plugin, so you don’t have to reach out for other plugins or break your creative flow. 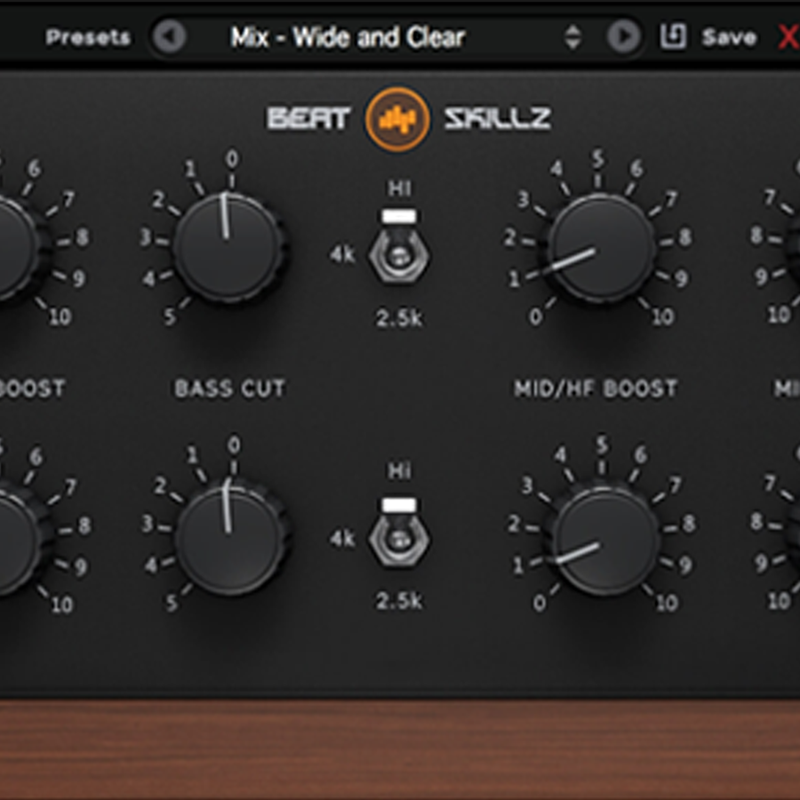 Slam Xl is my new go-to channel strip plugin .the crew at Beatskillz pulled out all the stops for the beast . 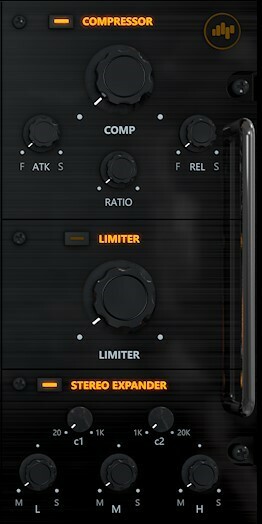 Fantastic Eq, Comp/Limiter,Saturation & Stereo Widener section makes this an absolute must have in every Producer’s toolbox. 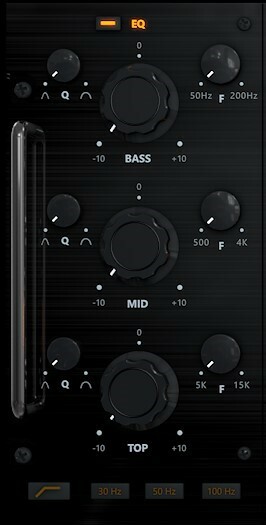 & it sounds Killer !!!! Super easy to use too. Love it !! 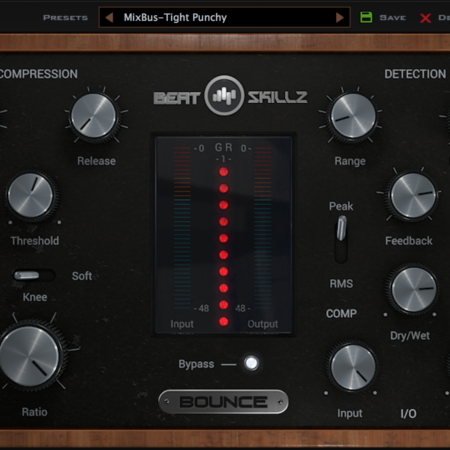 Most all-in-one plugins are easy to overdo. 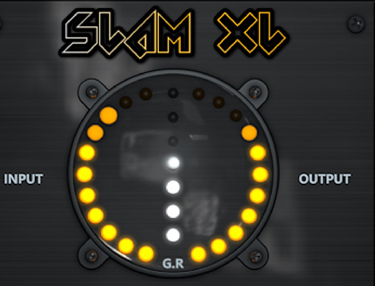 But, the more dig in with Slam XL, the sweeter it sounds! The key to that “perfect” mix or that “hit” track can sometimes be the right tools and colours. Sometimes if the processors get too complicated and have a multitude of options, then we can also easily get “disconnected” from our inspiration. But.. this is not the only reason. 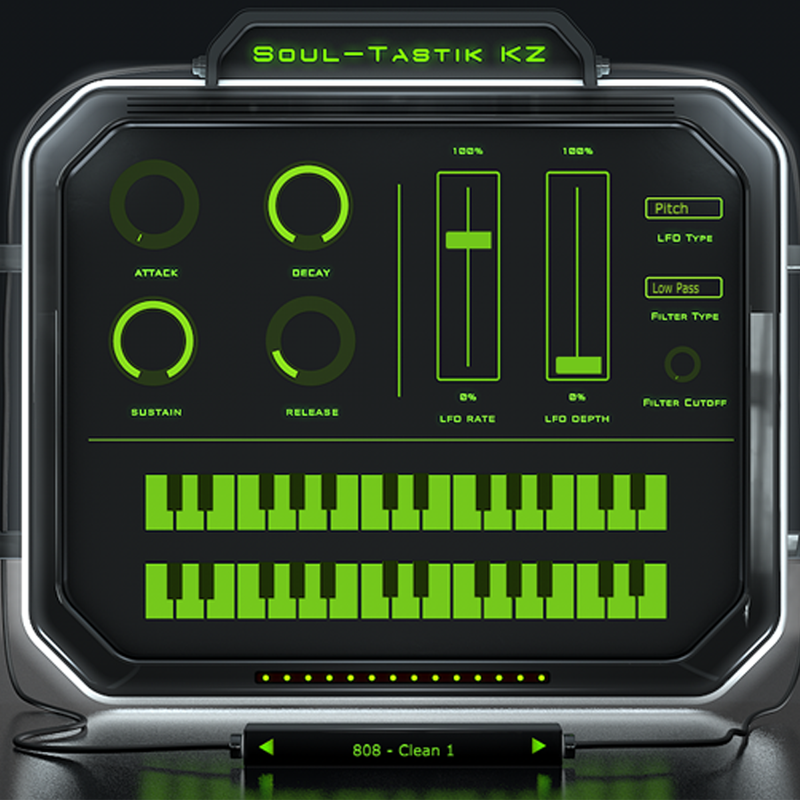 For us at Beatskillz, SOUND is “everything!” We went insane capturing 6 analog paths involving transformers, tubes, and transistors for our Saturation Section. 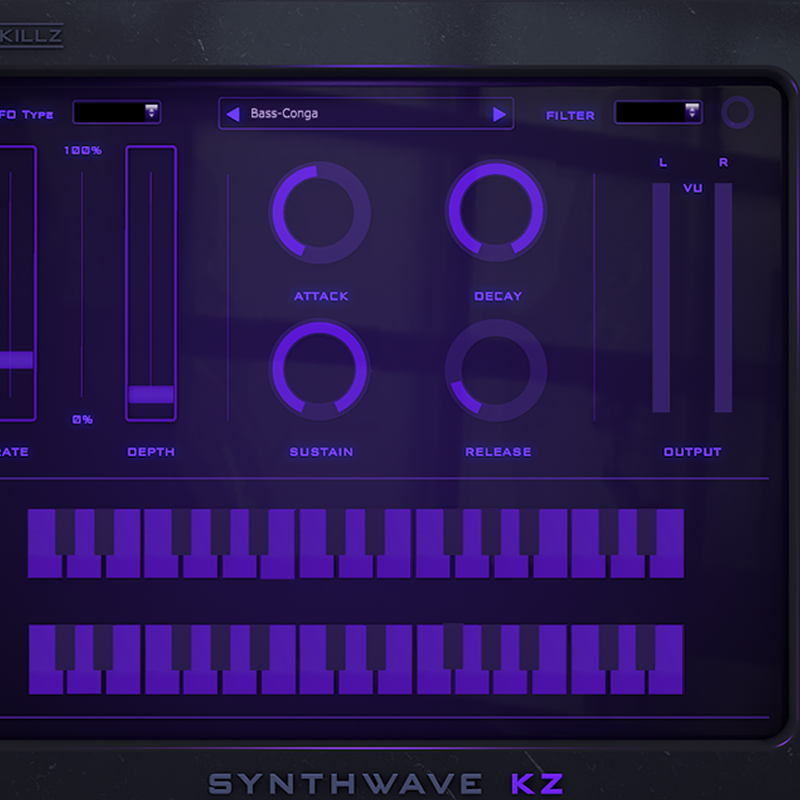 Wait till you plug this guy into your channels or busses, and quickly tweak the sound to get pleasing results fast! 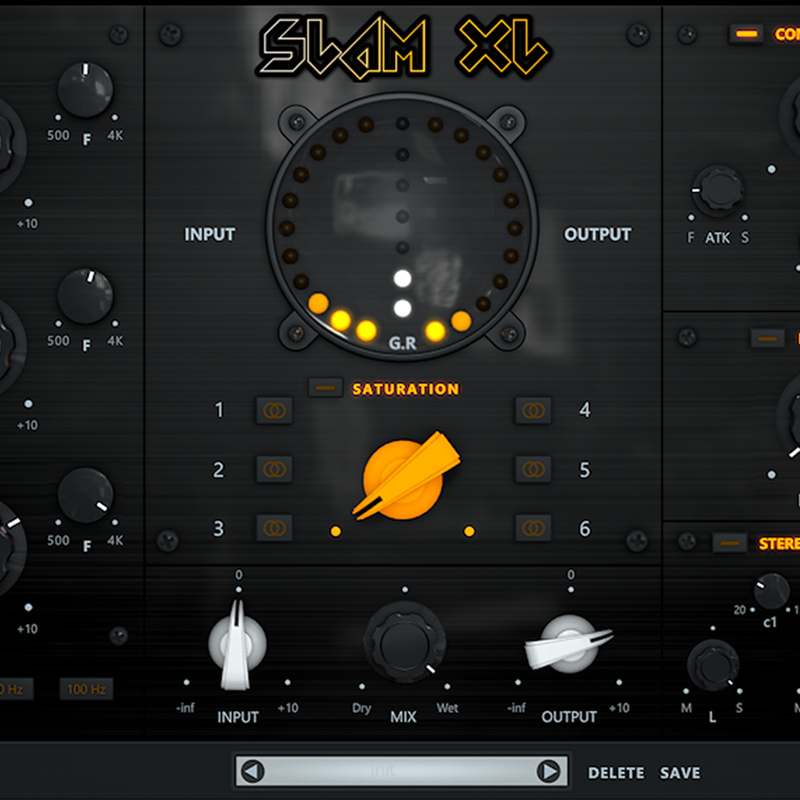 With a plethora of presets already included to get you started, Slam XL might just become the “first” plugin you will reach for when producing or mixing your tracks. 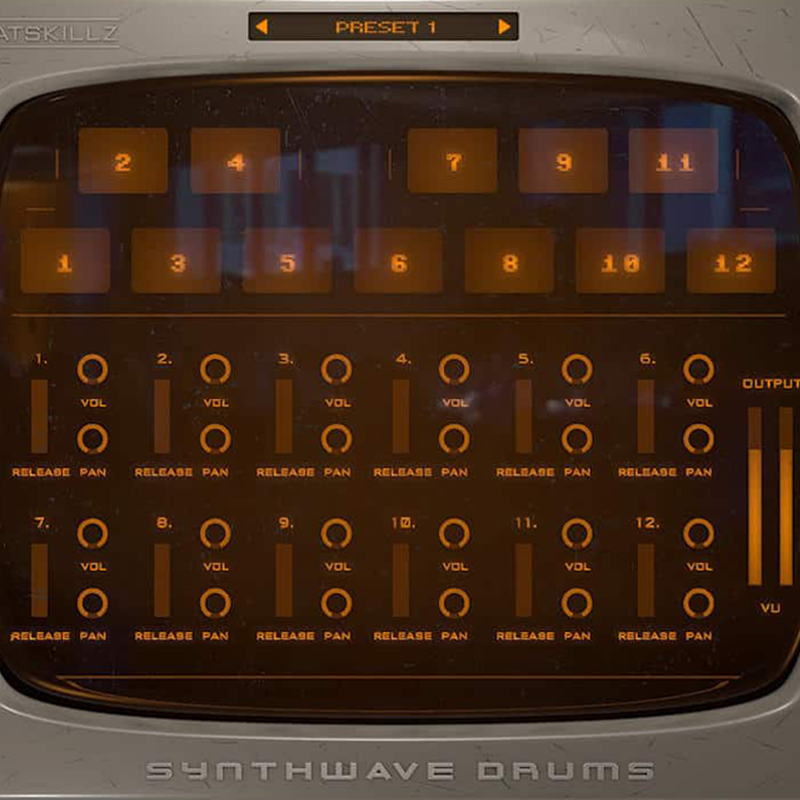 Low latency and CPU light processing enable you to live track your instruments, vocals or drum machines & keyboards in real-time, so you can shape the sounds of your music very very quickly. 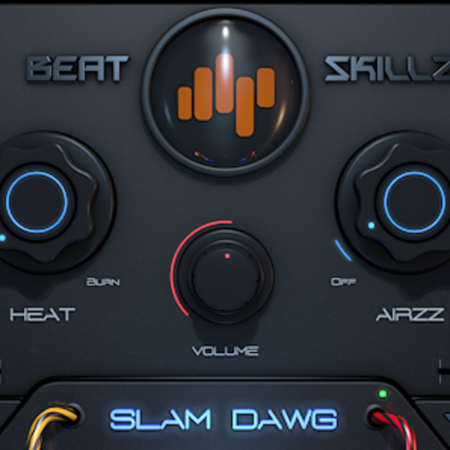 This is the 3rd generation of our “SLAM” plugins, the concept that we started our company with. 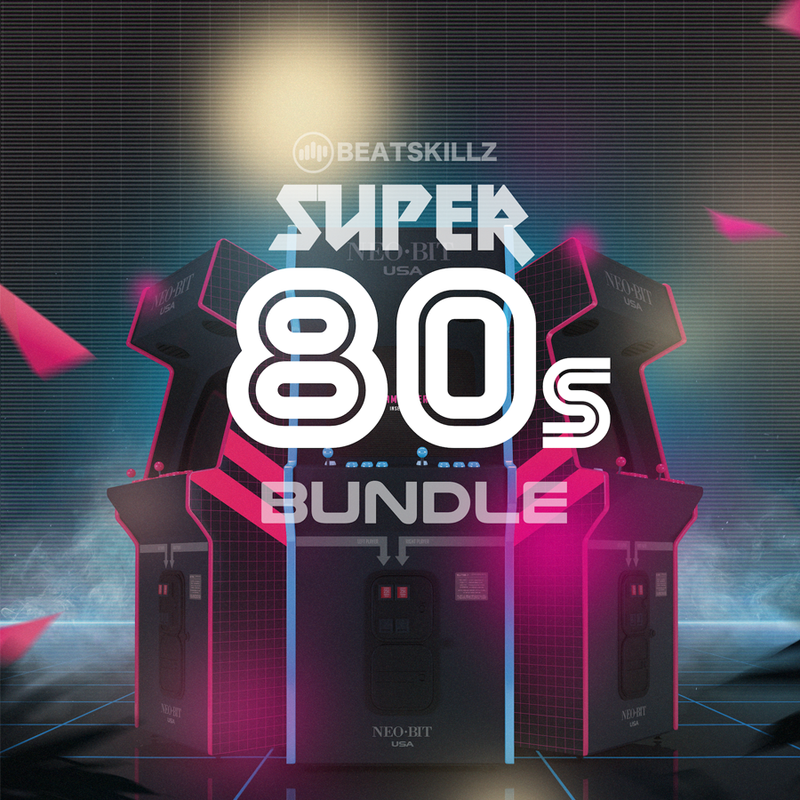 Your loving response has led us to bring you even better-sounding plugins each year! 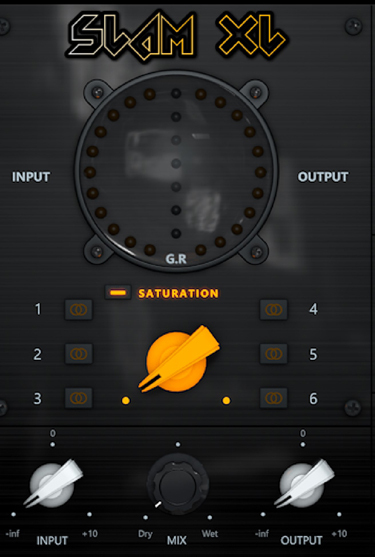 The Preset bar allows a user to quickly select factory presets in various categories for instruments or bus/ mix applications. 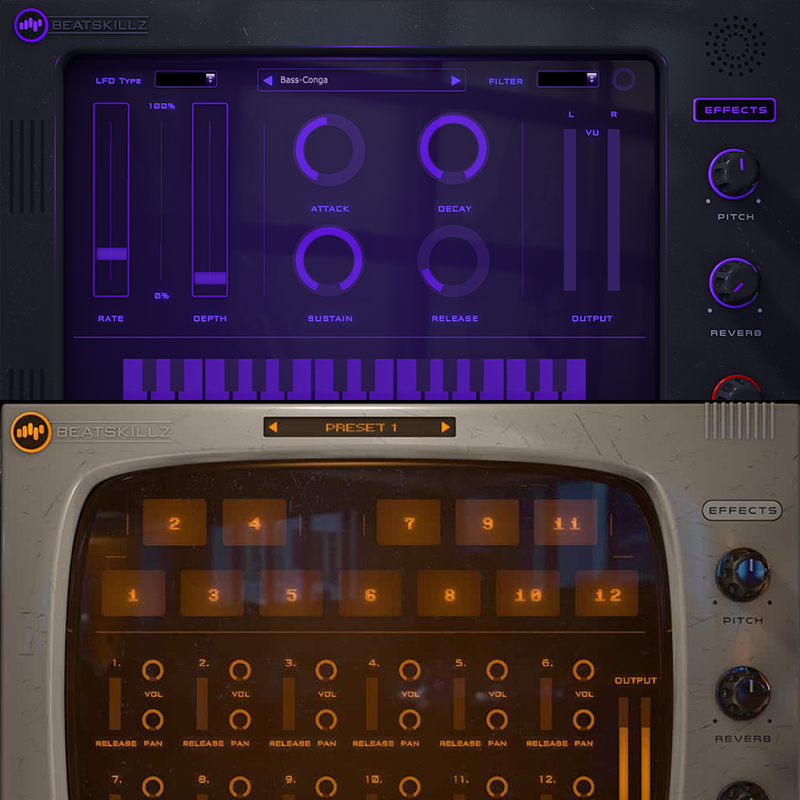 You can also save and delete presets from this bar.